Dentures are a popular and effective dental treatment that helps patients with missing teeth get a full and functioning smile. Getting dentures is a non-invasive process, with final results being customized to your ultimate smile goals. At the Brentwood, Los Angeles dental office of Dr. William Harrison and Dr. Andrea Henderson, we provide beautiful dentures to help our patients feel great and smile with confidence. Dr. Harrison and Dr. Henderson typically recommend dentures for patients who have had teeth come out by accident or injury, or for those who have needed teeth extracted to protect their oral health. Dentures can be full (a prosthetic that replaces all teeth in the upper or lower arch) or partial (an appliance with a few replacement teeth that fills in gaps from missing teeth). Both options for dentures are an easy way to restore your smile’s natural appearance. We begin by conducting a thorough initial consultation and taking pictures of your smile. The information we collect is then set to a trusted dental lab, where your full or partial dentures are created to your specifications. The finished result is a natural-looking smile that helps restore aesthetic, as well as bite function. For full denture wearers, perfecting an ideal fit for your new smile may require another visit to our office. 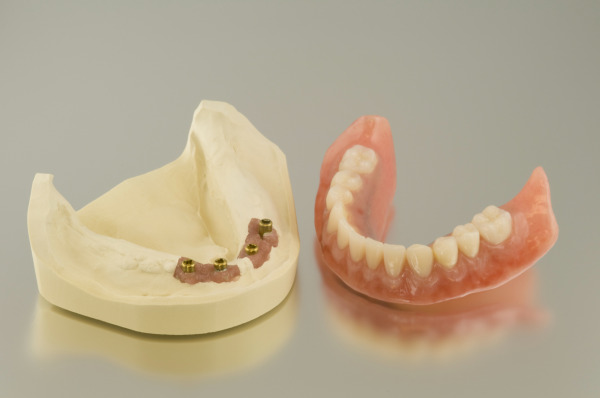 Dr's Henderson and Harrison want to make sure that your new teeth both look and feel great; we make sure that your dentures are fitted properly for your comfort. Looking for Permanent Dentures? 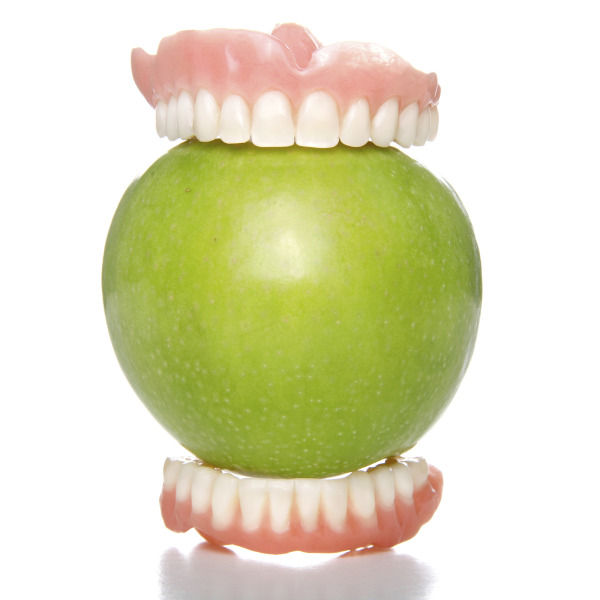 We Offer Implant-Supported Dentures in Brentwood! If you’re interested in fixed, non-removable dentures, our dental office can help. Implant-supported dentures are held in place by a few dental implants, increasing their sturdiness and boosting your biting and chewing power. Your dental implant posts will be placed by a local oral surgeon; our office works with outside specialists to coordinate your care. Once your implants posts are in place, and tissues have healed, we can place your new, full set of dentures. Because the implant posts bond with bone in your jaw, your new set of teeth will be strong and function just like natural teeth. You can even care for your fixed dentures just like you would with real teeth – no creams or adhesives needed. Patients with missing teeth have more options than ever to get fully restored smile. Our traditional and implant supported dentures help you get a beautiful new smile that looks natural. Dr. William Harrison and Dr. Andrea Henderson work with you to design your treatment plan according to what will best accommodate your needs, budget, and oral health goals. If you have questions about dentures from our Brentwood dental office, contact us today to set up your initial consultation.